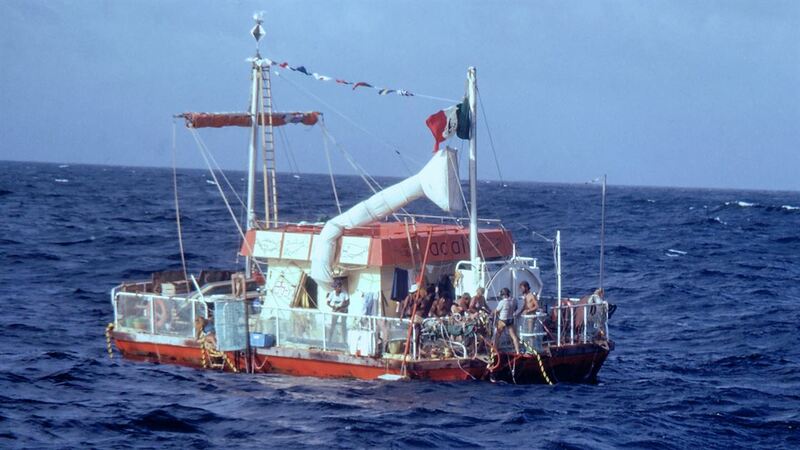 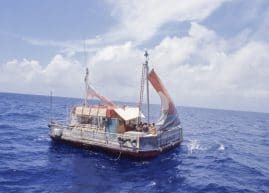 Photo: Picture of the 1973 Acali raft that crossed the Atlantic with eleven people onboard in a controversial scientific experiment in human behavior. 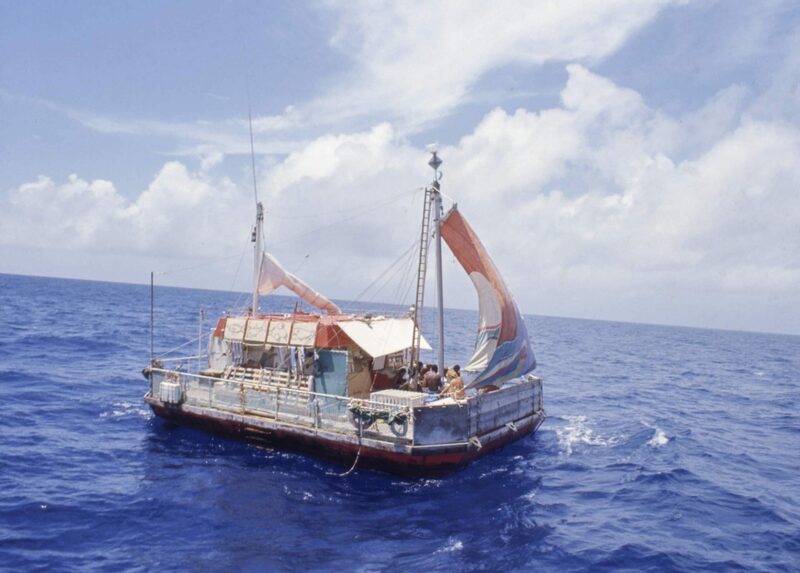 Picture of the 1973 Acali raft that crossed the Atlantic with eleven people onboard in a controversial scientific experiment in human behavior. DR - Danish Broadcast Corp.